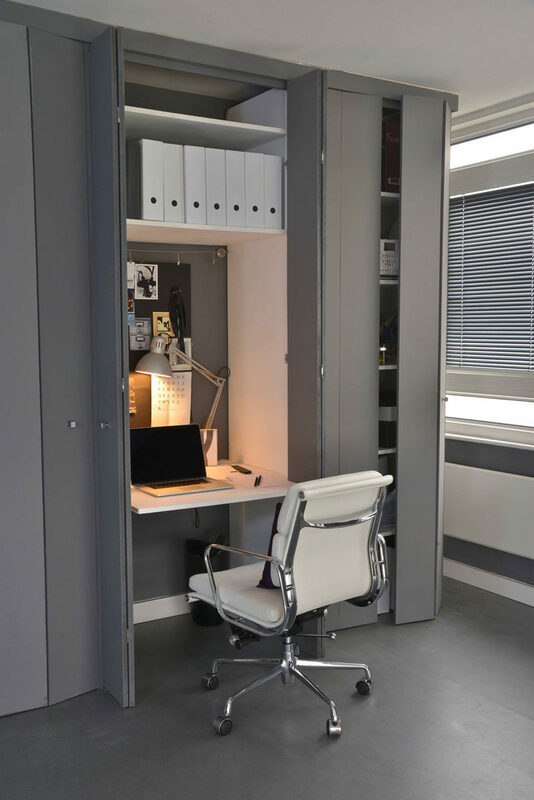 Creating a home office space in a small apartment can be difficult, but as long as you’ve got a closet, you can also have an office. 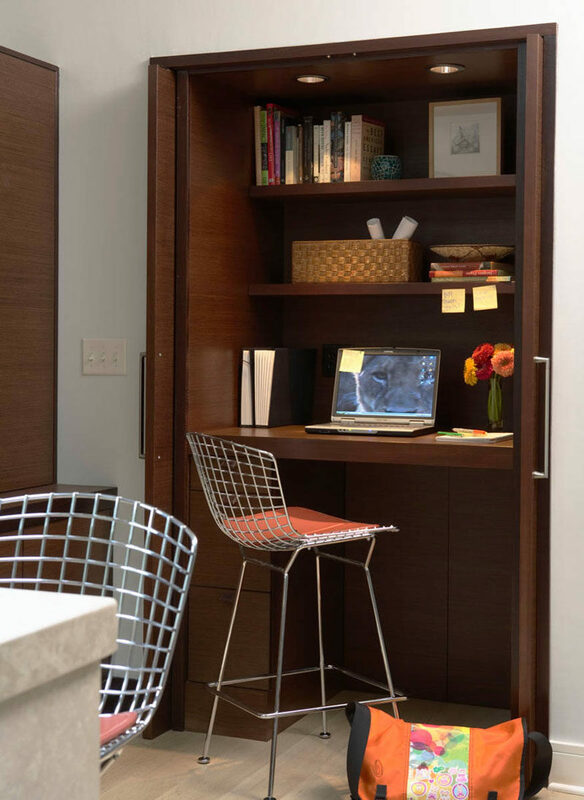 Here are 10 examples of closets that have been transformed into home offices just big enough to fit all the necessary supplies. 1. 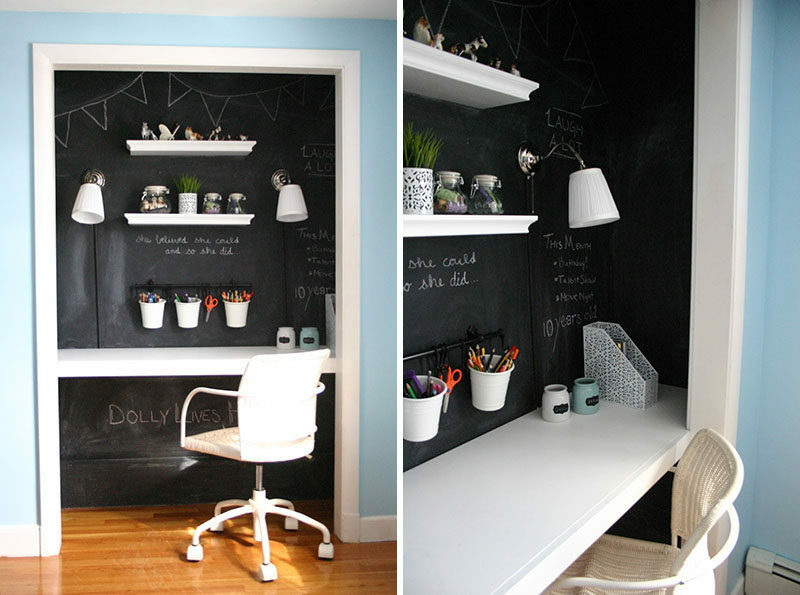 The doors have been taken off the hinges and the interior has been painted with chalkboard paint to create a cozy space perfect for doing homework, crafts, or work. 2. 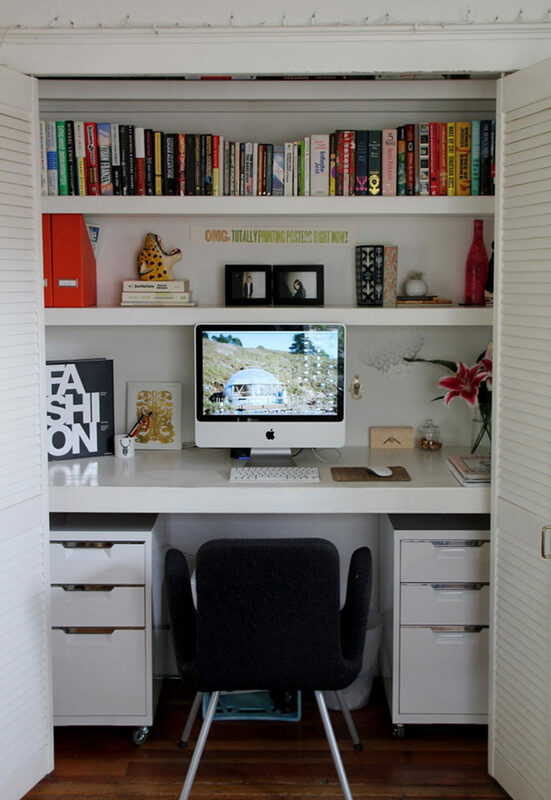 Although this office is tucked into a closet, it still manages to fit in all the essentials including the computer, multiple sets of drawers and plenty of book storage. 3. This closet acts as the family command center, keeping the phone, printer, books, computer, and other essentials in one convenient place that can be completely hidden in a matter of seconds. Designed by Key Piece. Photography by Adrienne Bizzarri Photography. 4. 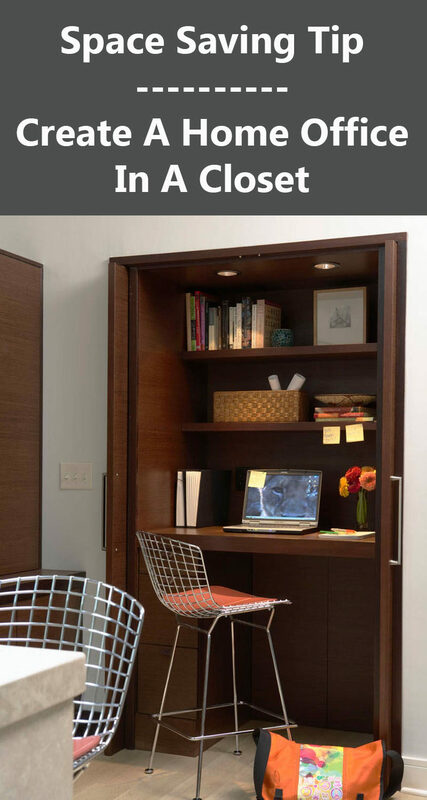 This small closet is just the right size for a well organized office space, and if it gets a little less organized the doors can still close to conceal it. Interior design by Cathy Phillips & Co.
5. 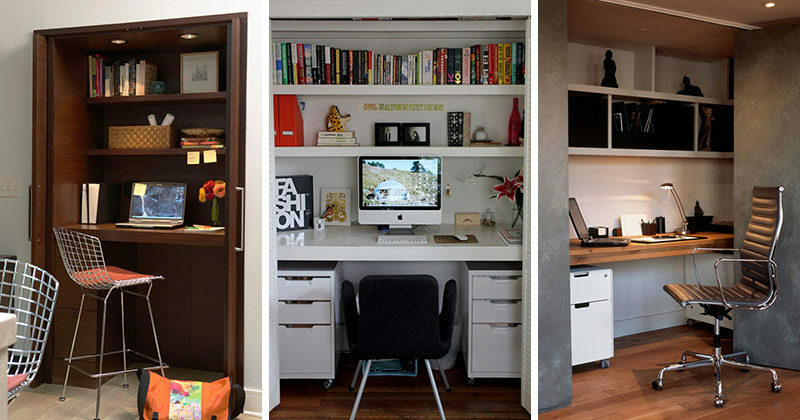 The desk of this closet office is raised up to create more leg space and provide more drawer storage underneath. Designed by Ingrained Wood Studios. Photography by Susan Gilmore . 6. 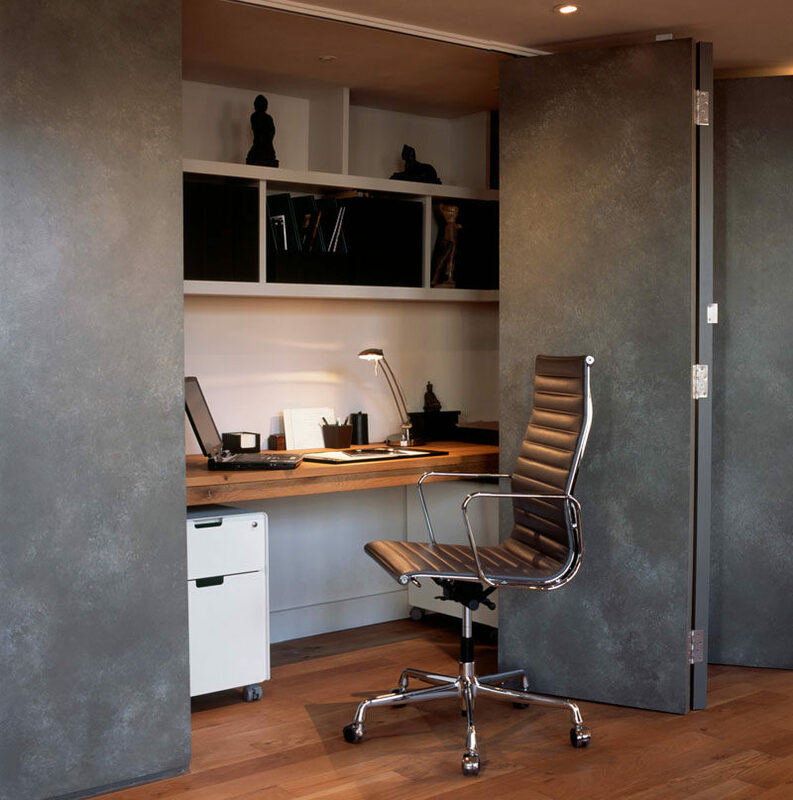 The mirrored doors of this closet open 180 degrees to allow in more light and create as much functional work space as possible. Designed by Black & Milk. 7. A long thick slab of wood makes up the desk of this compact home office, which can be quickly hidden when it’s no longer in use. Designed by Jonathan Clark Architects. 8. When the doors are closed, this wall looks like a wall of paneled wood, but upon further inspection you’ll find closet doors that open up to reveal an office and bar. Designed by Sutro Architects. Interior design by Kendall Wilkinson Design. Photography by Drew Kelly. 9. 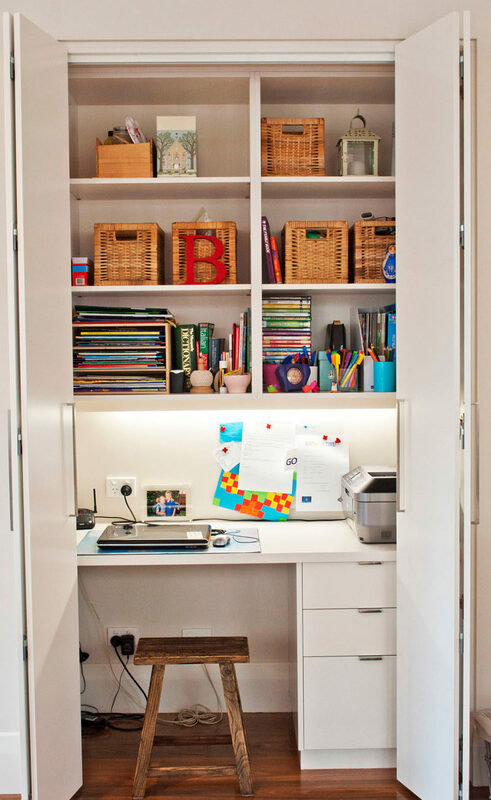 While one closet in this bedroom holds clothes the other contains a work space complete with a desk, book shelves, and storage drawers. Designed by West Chin Architects & Interior Designers. Photography by Joshua McHugh. 10. 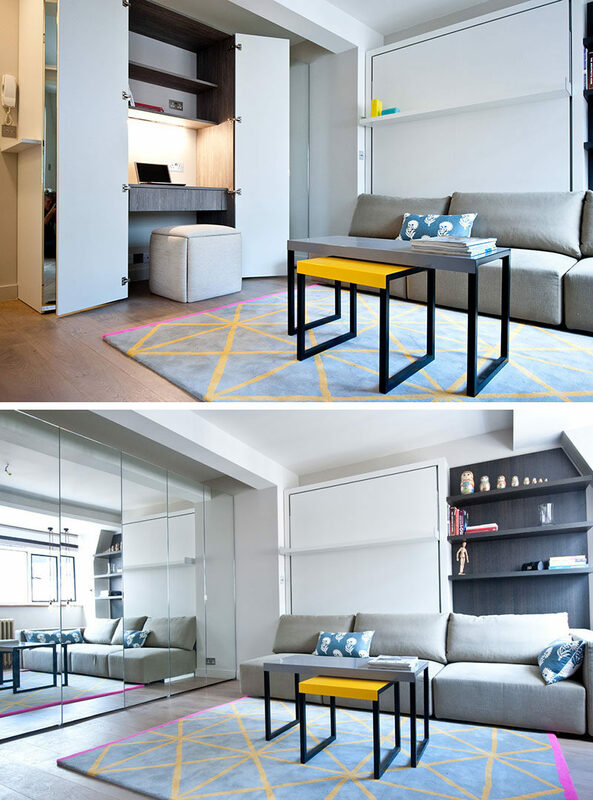 Colorful doors conceal this home office with built-in shelves when it isn’t being used. Designed by Applegate Tran Interiors. Photography by Christopher Starke.